Two energy suppliers are to be investigated by industry regulator Ofgem for their responses to the storms that left thousands of UK homes without power at Christmas last year (2013). Around 16,000 homes in total lost electricity during the storms. 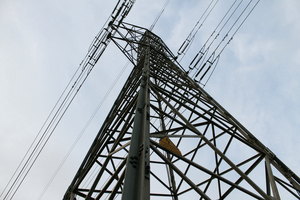 The majority were reconnected within 24 hours according to Ofgem. However, Scottish and Southern Electric (SSE) and UK Power Networks (UKPN) failed to reconnect power for 500 homes for more than five days. In its criticism of the firms, Ofgem also stated that one in five callers to both UKPN and SSE hung up before they actually got to speak to a customer adviser. According to Ofgem around 26,000 customers could be entitled to guaranteed standards compensation totalling £2 million. SSE is expected to account for 67 per cent of those payments, with UKPN responsible for 26 per cent. In total the two companies have pledge to pay £7.5 million to their customers that experienced power cuts over Christmas. Commenting on the situation, senior partner for distribution at Ofgem, Hannah Nixon, stated: "If our further investigation into the performance of UKPN and SSE during the 2013 Christmas storms suggests that these companies have breached their licence conditions, we will undertake enforcement action that could result in a financial penalty." All energy companies will have to carry out a review into their response to the bad weather, and report back to Ofgem on their findings within two months.